Public consultation (or ‘consultation’) on Lantau development is in its final week. On recent evidence it is difficult to believe it will make a difference. 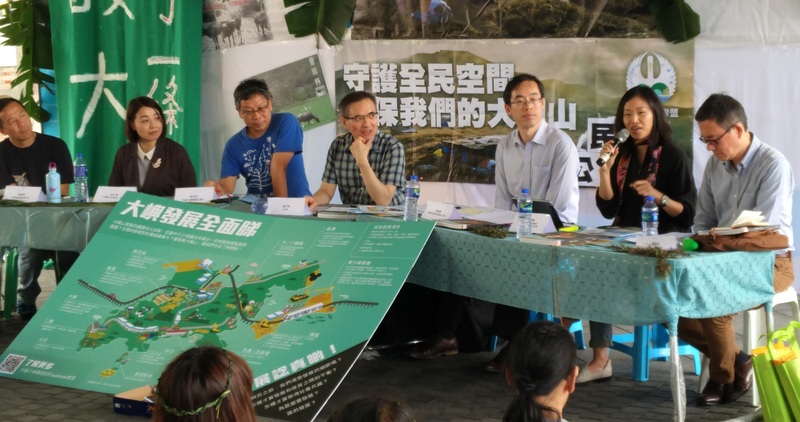 This blog has attended two public forums on Lantau in the past fortnight – one at Hong Kong University and the other one at Pier 8, Central. The way these work is that senior officials turn up, take notes and occasionally answer questions while people tell them what they’re doing wrong. Then they go back to their offices, tick the ‘consultation’ box and life goes on. Exhibit A for Lantau is the four years of consultation over the Shek Kwu Chau incinerator that yielded exactly zero changes to the original plan. At every step ample evidence was offered to show what a financial, technological and environmental failure this facility was going to be. Apart from the hundreds of public submissions, and the EPD under- secretary labelling the plant as “dioxin-spewing,” waste experts also called into question the official recycling figure. The HK$30+ billion plan was premised on the statistic that Hong Kong was recycling just under half of its municipal waste. That is literally rubbish. The Audit Commission last October finally confirmed that the real figure is likely around 10%, not 50%. Of course, even without a rationale for its waste management plan, the EPD has held firm. Not for our environmental guardians the constraints of mere facts; the project goes ahead, though predictably it has run into engineering difficulties. Since a few dozen people formed the Hong Kong National Party last month, barely a day has gone by without some government honcho or other holding forth about how to deal with this existential threat. The People’s Daily has made its views known, and just yesterday CY Leung himself weighed in. Legal experts may be at odds over Hong Kong autonomy, but the Basic Law has nothing to say about Lantau resuming self-rule. So let’s declare Lantau independent and watch government leaders beat a path to our door.